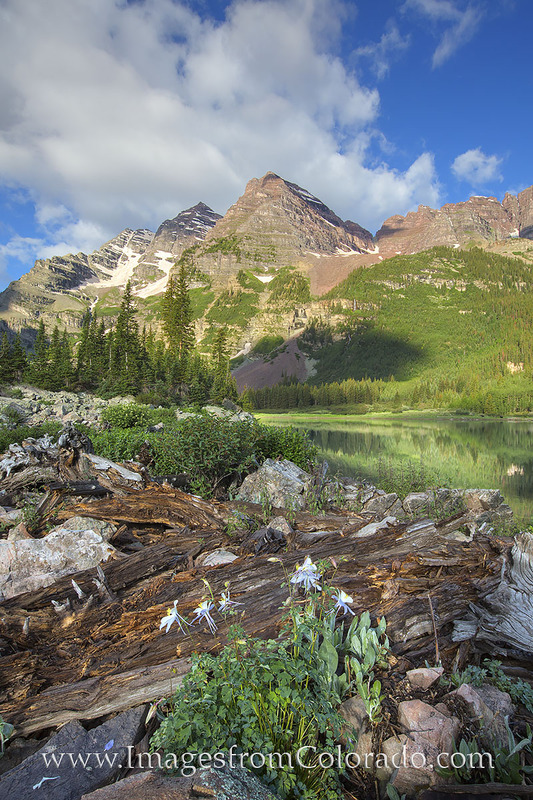 With the Maroon Bells looming in the distance on a calm July morning, Columbine - Colorado's state wildflower - enjoy the cool shade. Crater Lake is just beyond this location, about 2.3 miles from the more famous Maroon Lake. Photo © copyright by Rob Greebon.